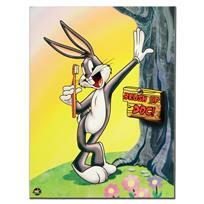 "Brush Up Doc" is a Looney Tunes Collectible Giclee on Gallery Wrapped Canvas from Warner Bros..
"Special Delivery" Limited Edition Giclee from Warner Bros., Numbered with Hologram Seal and Certificate of Authenticity. 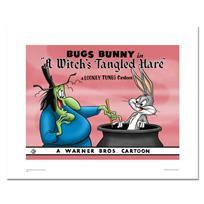 "A Witch's Tangled Hare" Numbered Limited Edition Giclee from Warner Bros. with Certificate of Authenticity. 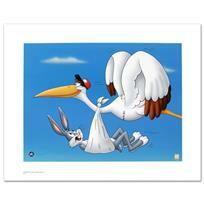 "Compressed Hare" Numbered Limited Edition Giclee from Warner Bros. with Certificate of Authenticity. 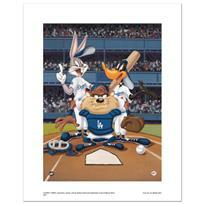 "At the Plate (Dodgers)" Numbered Limited Edition Giclee from Warner Bros. with Certificate of Authenticity. 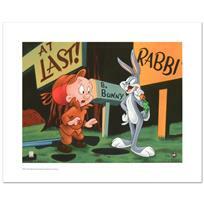 "Rabbit Season" Limited Edition Giclee from Warner Bros., Numbered with Hologram Seal and Certificate of Authenticity. 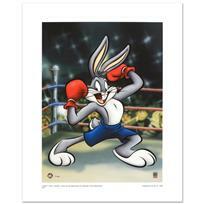 "Boxer Bugs" Limited Edition Giclee from Warner Bros., Numbered with Hologram Seal and Certificate of Authenticity. 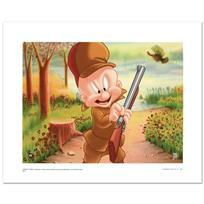 "Elmer Hunting" Limited Edition Giclee from Warner Bros., Numbered with Hologram Seal and Certificate of Authenticity. "At the Plate (Cardinals)" Numbered Limited Edition Giclee from Warner Bros. with Certificate of Authenticity. "Blastin Bugs" Limited Edition Giclee from Warner Bros., Numbered with Hologram Seal and Certificate of Authenticity. 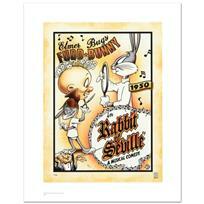 "Rabbit of Seville" Limited Edition Giclee from Warner Bros., Numbered with Hologram Seal and Certificate of Authenticity. 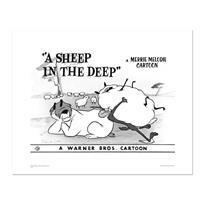 "A Sheep In the Deep" Limited Edition Giclee from Warner Bros., Numbered with Hologram Seal and Certificate of Authenticity. "Sylvester & Son - Radio Controlled Jet" Limited Edition Giclee from Warner Bros., Numbered with Hologram Seal and Certificate of Authenticity. 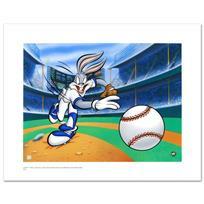 "Fastball Bugs" Limited Edition Giclee from Warner Bros., Numbered with Hologram Seal and Certificate of Authenticity. "Kit for Cat" Numbered Limited Edition Giclee from Warner Bros. with Certificate of Authenticity. 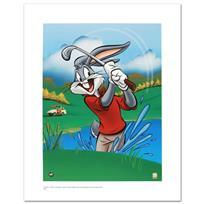 "What's Up Doc - Bugs Bunny" Limited Edition Giclee from Warner Bros., Numbered with Hologram Seal and Certificate of Authenticity. 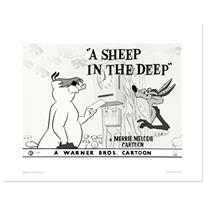 "A Sheep in the Deep - Flock" Numbered Limited Edition Giclee from Warner Bros. with Certificate of Authenticity. 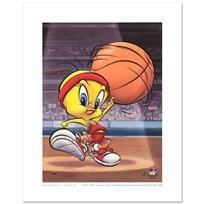 "Roundball Tweety" Limited Edition Giclee from Warner Bros., Numbered with Hologram Seal and Certificate of Authenticity. 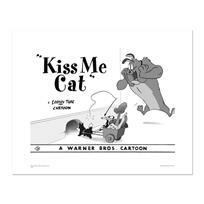 "Kiss Me Cat" Numbered Limited Edition Giclee from Warner Bros. with Certificate of Authenticity. 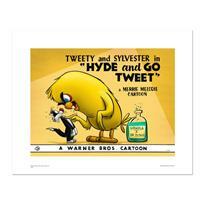 "Hyde and Go Tweet- color" Numbered Limited Edition Giclee from Warner Bros. with Certificate of Authenticity.